Plow, plant and harvest on the go 24/7! 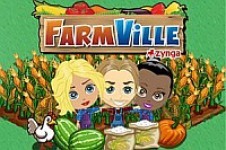 FarmVille, the most popular game on the web, is now available FREE on your iPhone, iPod and iPad. Current FarmVille players can access their existing Facebook farm, and new users can create a farm.